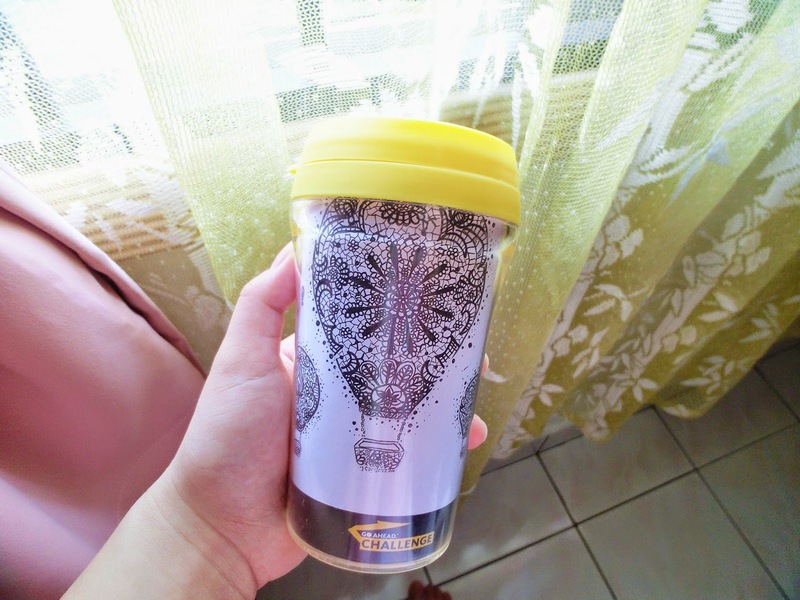 A week back and I was sharing something about the Maybank GO Ahead Challenge. It finally took off on the 30th of April at Subang Skypark. Before the official grand launch, I've a little taste of one of the unique experience '#3 Unleash your creativity'. Expressing myself on the tumblr by doodles! It was actually being inspired by Meganhess, an illustrator. 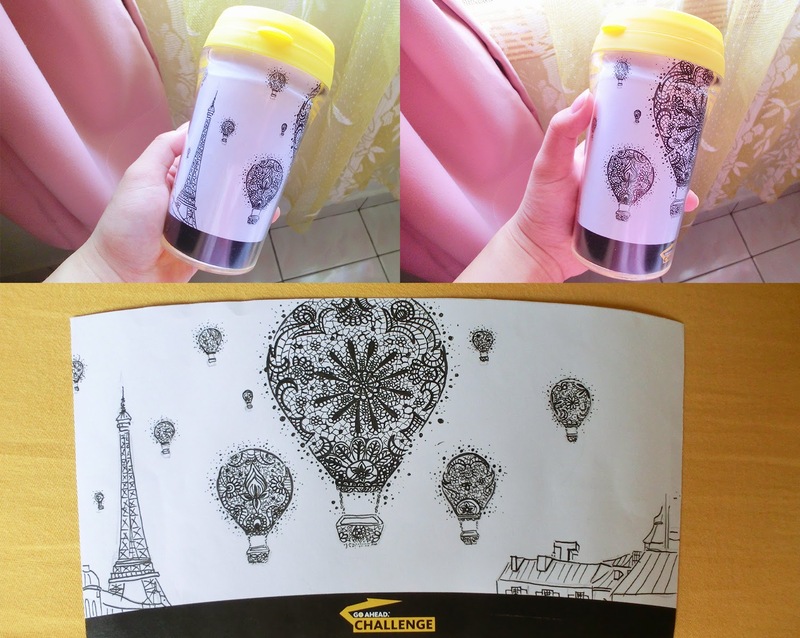 The hot air balloons were crossing the sky, fulled with laces which symbolize the girly side of mine, taste of sweet, mystery and dreamy. Balloons aside, there were some buildings at side, the Eiffel Tower, a place for dreamer. This illustration of mine gave a message of never afraid to fly high or dream high, because every success-fulness begins with tiny dream.Whenever I grasp this tumblr in hand, it reminds me not to give up on any hope and chance to achieve my dream. And now, here's the chance for you! 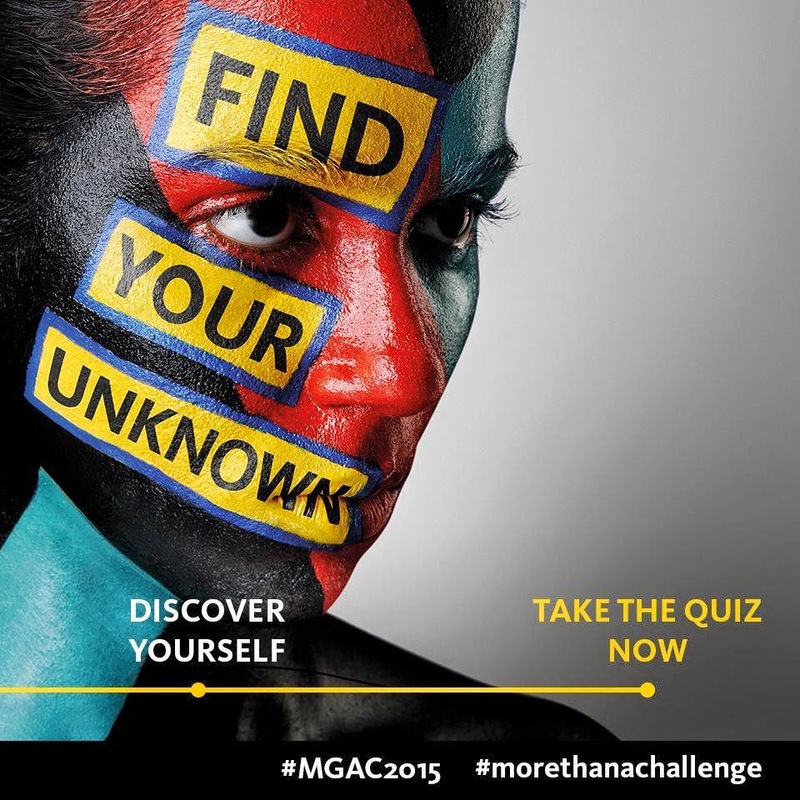 MGAC 2015A chance for you to win great cashes and intern opportunity overseas! 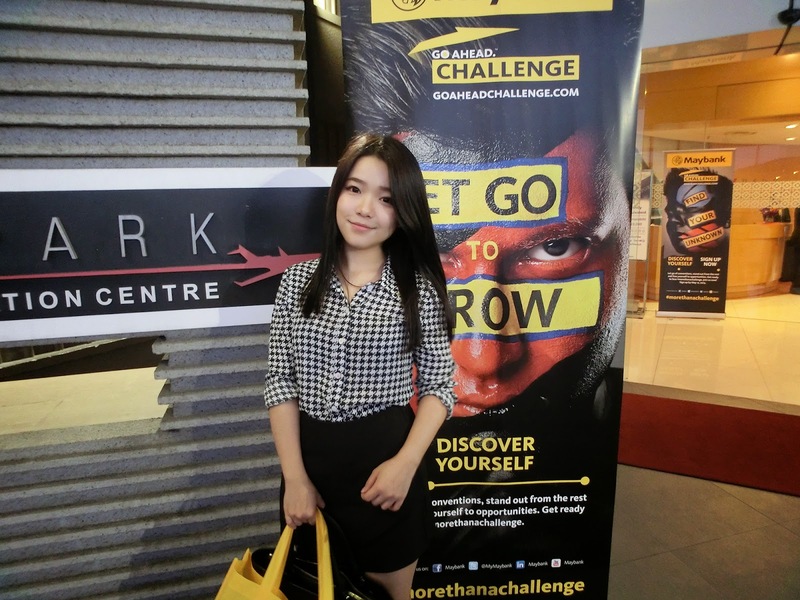 WHAT is Maybank GO Ahead Challenge (MGAC)? An action packed, multi-disciplinary fusion of business case study competition with both mental and physical challenges. Challengers must equipped with all intellect, bravery, compassion, courage, determination, endurance and stamina. Besides, it's also a programme developed to spot for the right potential and energetic talents to be a part of the organization. The challenge is entering its 4th year and it has reached the international level whereby all the talents will be competing with each other from 14 countries across the world, more diverse and more challenge. Test competitors in multiple disciplines and reinforces via each challenge key. Competitors are able to gain experiences in working as a team within short period, which is real challenging and competitive. Humanising mission which Maybank strongly hold in. Competitors will be inspired with appreciation towards the competition, difficulties faced and every single chances given. Finalists will get to pass to their marquee Graduate Entry level programme, Global Maybank Apprentice (GMAP). Besides gaining different experiences, discovering own potential either mentally or physically, working hand-in-hand with competitors across the world, of course the amazing prizes and opportunities await! You can either take part individually or in a team of up to 5 people! Challenge yourself and appreciate this opportunity to be a part! Expect the unexpected! Who knows you will stand a chance to win cashes and intern opportunity overseas!